Full-Spectrum CBD vs. Isolate: Which One Is More Effective? Okay, it has happened. Cannabidiol (CBD) is one of the most hyped and sought after wellness compounds and it looks like everyone wants to capitalize on its popularity. There are so many CBD products on the market that it may be overwhelming – especially for inexperienced CBD users – to choose the one that will be perfectly tailored to your needs. In this article, we will clear up any confusion regarding one of the hottest topics in the CBD industry. What is better: full-spectrum CBD or a CBD isolate? Opinions are split, but it looks like more people are leaning towards the full-spectrum option. Depending on the condition and the way you want to benefit from Cannabidiol, it can work better when combined with other cannabinoids than alone, creating what is known as the entourage effect. So, without further ado, let’s start by explaining the difference between full-spectrum CBD and a CBD isolate. Simply put, full-spectrum CBD is extracted from the whole hemp plant, meaning that it contains a range of other chemical compounds, such as different cannabinoids, terpenes, essential oils, and amino acids. The presence of the above substances contributes to what we can describe as the “entourage effect.” One of the most significant studies in regards to full-spectrum CBD oil was conducted at the Hebrew University of Jerusalem’s Hadassah School in 2015. It compared the effects of a full-spectrum extract with one that contained nothing but CBD. In their research paper, the scientists concluded that full-spectrum Cannabidiol was more effective in reducing pain and inflammation. The entourage effect was widely described by Dr. Ethan Russo in his work “Taming THC” and it’s the main reason behind the efficacy of the so-called whole plant medicine. Cannabis alone contains over 100 ‘identified’ compounds. While all of them have their own therapeutic qualities, they work together synergistically to boost those effects. Anxiety Disorders: THC in high doses can elevate anxiety, but CBD counteracts these effects while producing its own anxiolytic benefits. Gastrointestinal Disorders: CBD combined with other cannabinoids can regulate your appetite (depending on the ratio) and help with issues like nausea and anorexia. Neurological Disorders: Numerous studies suggest that a mix of THC and CBD can contribute to the improvements in Tourette’s Syndrome, Parkinson’s Disease, Alzheimer’s Disease, and other neurological disorders. Let’s take a closer look at the content of full-spectrum CBD extracts. What Does Full-Spectrum CBD Oil Contain? Although Cannabidiol is the major active compound in full-spectrum CBD extracts, it contains a range of other substances. Yes, they are in the clear minority, but they still play an important part in creating the entourage effect. While most readers are probably aware of only two cannabinoids, CBD and THC, there are plenty of similar yet underrated molecules that can bring relief to your ailments. CBN results from the degradation of THC. Although the raw plant usually contains a low amount of Cannabinol, decarboxylating cannabis can raise its levels. It produces a slightly psychoactive sensation, but it’s not anywhere near the potency of THC. When it comes to interacting with the endocannabinoid system, CBN shows a greater affinity for the CB2 receptor compared to the CB1 receptor. Unfortunately, there is very little data on the effects of CBC even though this cannabinoid is abundant in certain cannabis strains. We still don’t know if it offers the same remarkable benefits as CBD and THC, but according to the research that is available, CBC can work as a pain reliever, anti-anxiety agent, and antidepressant. This is the least abundant cannabinoid because most CBG is transformed into cannabinoids such as THC and CBD by the plant. As a result, most dry flowers and cannabis extract do not offer a significant level of CBG. Terpenes are volatile chemicals that contribute to the cannabis plant’s unique aroma profile. If you’ve ever wondered why different strains come with different scents, it’s because they have different terpenes. But more interestingly, these compounds appear to work extremely well with cannabinoids to produce its therapeutic effects. Limonene is praised for its stress-relieving properties and the ability to boost one’s moods. On top of that, you can use limonene to solve gastric flux issues. Pinene is said to improve your memory and boost alertness. It’s because of the high pinene content that certain cannabis strains don’t cause short-term memory impairment once you smoke them. Pinene is also anti-inflammatory. Also present in chamomile, linalool has a sedative effect that helps patients who suffer from stress, pain, insomnia, and depression. This terpene comes with antioxidant and anti-inflammatory properties that help relieve the symptoms of pain, which also makes it useful against sleep disorders. Humulene is not only a pain reliever but it also has antibacterial properties. Strains with higher humulene content are believed by cannabis breeders to remarkably improve appetite. Full-spectrum CBD extract contains vitamins A, C, E, and complex B vitamins such as thiamine, niacin, and riboflavin. In addition, full-spectrum CBD oil contains lots of beta-carotene, a vitamin that an increasing number of people don’t consume. 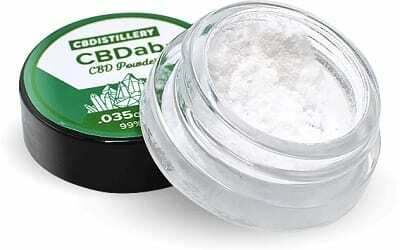 As for the minerals contained in full-spectrum CBD, the list includes zinc, iron, phosphorus, calcium, and potassium. Last but not least, full-spectrum CBD contains up to 20 amino acids, including the nine we need the most. On top of that, essential fatty acids such as Omega 3 and Omega 6, which are invaluable for improving cardiovascular health, are included in the optimal 3:1 ratio. Full-spectrum CBD hemp oil is also a decent source of protein that helps build and repair tissues. 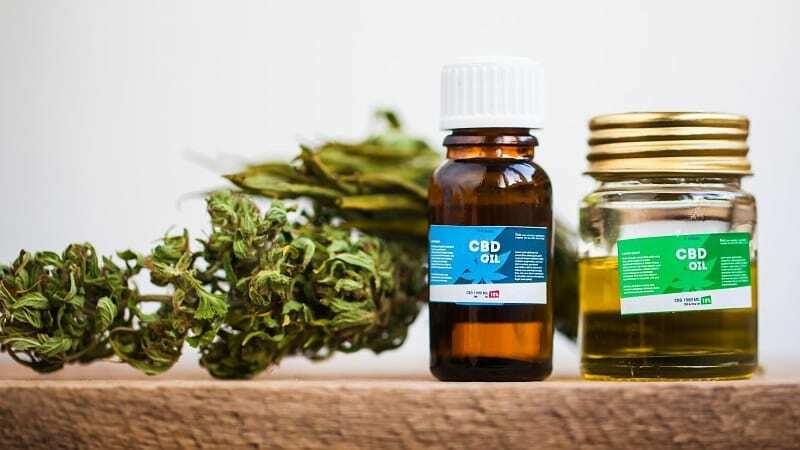 When you browse online dispensaries or hemp CBD retailers to buy CBD oil, you will find two main product categories: full-spectrum CBD and CBD isolate. Unlike full-spectrum CBD, an isolate contains pure CBD. No other cannabinoids like CBN, CBG, CBC, or THCV, no terpenes, essential oils – nothing, just Cannabidiol. CBD isolates are also completely free of THC; full-spectrum CBD extracts, even hemp-derived ones, can contain THC in very low concentrations (up to .3%). Long story short, CBD isolate is simply purified CBD that has been extracted from the cannabis plant and isolated from the other compounds. Full-Spectrum vs. Isolate: Which Is More Effective? Not that long ago, people believed that CBD in its isolated form was more concentrated and potent than full-spectrum CBD. However, the 2015 study we referred to at the beginning of our article stays in stark contrast to this belief. Just because CBD isolates contain more cannabidiol than full-spectrum extracts doesn’t mean they will be more potent or act faster than their whole-plant counterparts. In fact, the reason why CBD isolates are so rich in CBD is that Cannabidiol alone is less effective than when combined with other cannabinoids. That being said, once you try a full-spectrum CBD oil, you might be surprised to discover that you actually need less CBD than you previously thought. However, the full-spectrum CBD vs. isolate debate is not that black-and-white. Full-spectrum CBD oil, especially marijuana-derived, may contain traceable amounts of THC, so if your state is not-cannabis friendly, you might not be allowed to use the full capabilities of full-spectrum CBD. If that’s your case, or you just don’t need to benefit from the full-spectrum extract, CBD-isolate will come in handy. 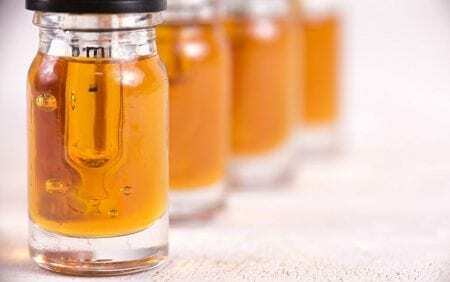 One thing is certain: the difference between full-spectrum CBD vs. CBD isolate is real, and the final decision between these two boils down to what you want to use CBD oil for. If your goal is to boost the effects of Cannabidiol by combining it with other cannabinoids and beneficial molecules, then full-spectrum CBD is the way to go. It’s the best option for those who want to elevate the efficacy of CBD without spending more money on products with higher CBD content. But on the other hand, if you’re afraid that full-spectrum CBD may cause you to fail a drug test, or you live in a country that doesn’t allow cannabis, CBD isolates are still a decent option. The market is so diverse that you can get both varieties of Cannabidiol in different forms to see which one suits you best. Do you benefit from the entourage effect provided by full-spectrum CBD? How would you compare these two products in terms of their efficacy?